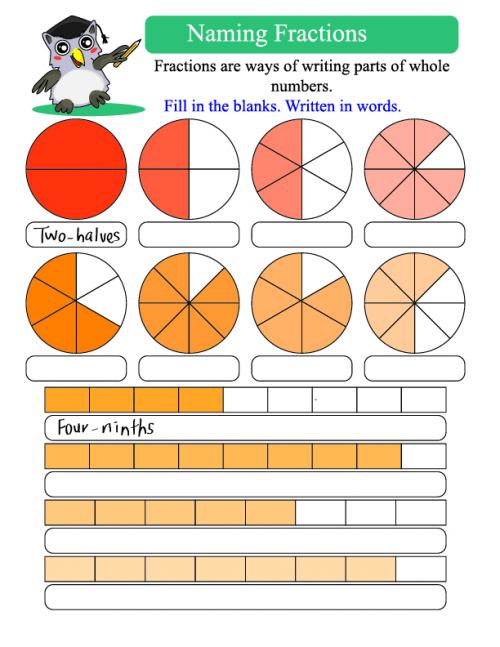 Make basic fraction practice fun with this free worksheet! On this worksheet you will find three different sections of shapes. Each shape has a shaded in area, and your little learner must determine the written out fraction for the shape provided. Two have been answered already as models!